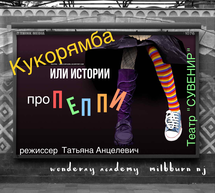 Children’s Theater “Souvenir” is at the heart of the Center of Early Development “WondeRay Academy”. The founder of the Center, Tatyana Antselevich, a specialist in early childhood development, brings more than 20 years of experience teaching music in Russia, Israel, and USA. 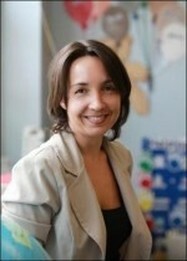 Tatyana believes that inspiring children to have a love for learning should be the most important goal for adults. “When an activity is interesting and joyful, naturally, you will want to repeat it again and again; and repetition is the source of learning. Congratulation to the theater "Souvenir" with a great participation at the 4th international competition "Planet of art" in June 2018 and with the second place in the category "Small Theater's forms"
Kukarjamba or 7 stories about Pippi"
The prize for best dance performance and 7 more nominations! good Russian speakers. Duration of training 120 min Group goes on tour. Visiting additional rehearsals is mandatory. Duration of training 120 min with performs 2 times a year, on the school stage. 1-2 years of study in the theater class. Duration of classes 45 min. Group performing 2 times a year, on the school stage. Duration of classes 60 min. 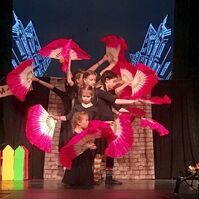 Group performing 2 times a year on school stage.